Repair and maintenance experts from the UK, Ireland, Poland, Romania, Slovenia and Hungary met for the first time in the context of three TecRMI User Group meetings that were arranged for 13 October 2015 in Budapest, 4 November 2015 in Birmingham and 5 November 2015 in Warsaw. 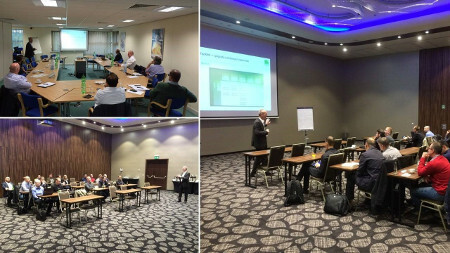 As with the TecRMI User Group meetings in Germany, France, Holland, Italy and Spain, these events met with lively interest. Software providers, wholesalers, parts manufacturers, webshop operators and even end customers with an interest in fleet management solutions used the opportunity to find out more about TecRMI solutions. Along with information about the latest developments in TecRMI, the meetings also provided the opportunity to discuss the needs of the various markets with other data users. Participants at the event in Budapest came from Romania, Slovenia and Hungary to find out more about TecRMI. Impressions from the events in Birmingham and Warsaw. 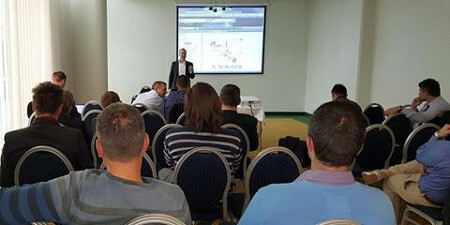 Meetings of the TecRMI User Group are held regularly in different European countries. Forthcoming dates are displayed on the TecRMI website.